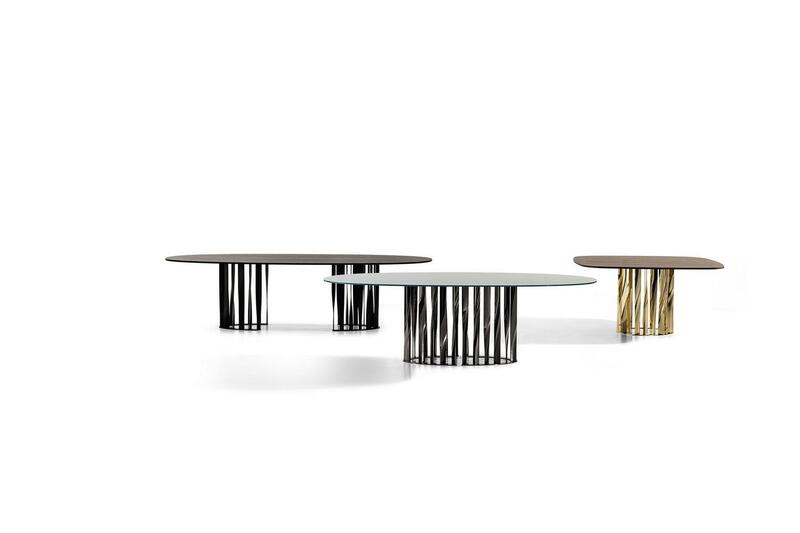 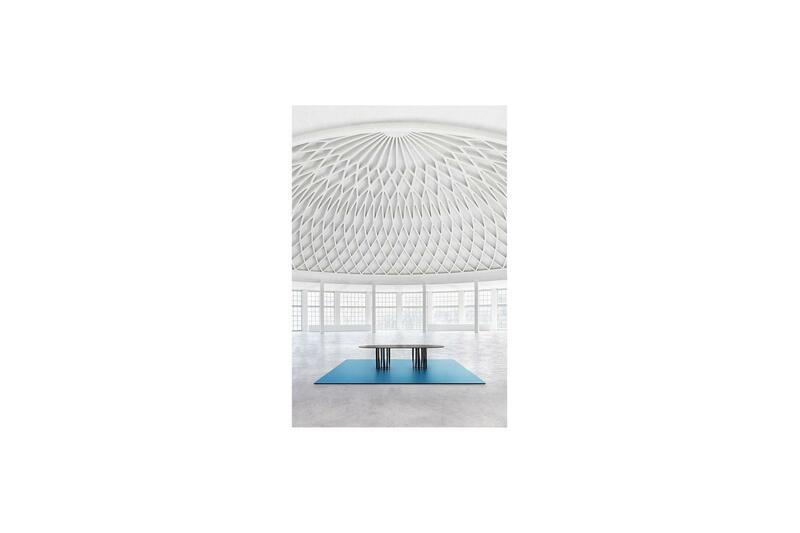 Updated sizes and finishes for the Boboli table, already included in the Cassina iContemporanei collection. 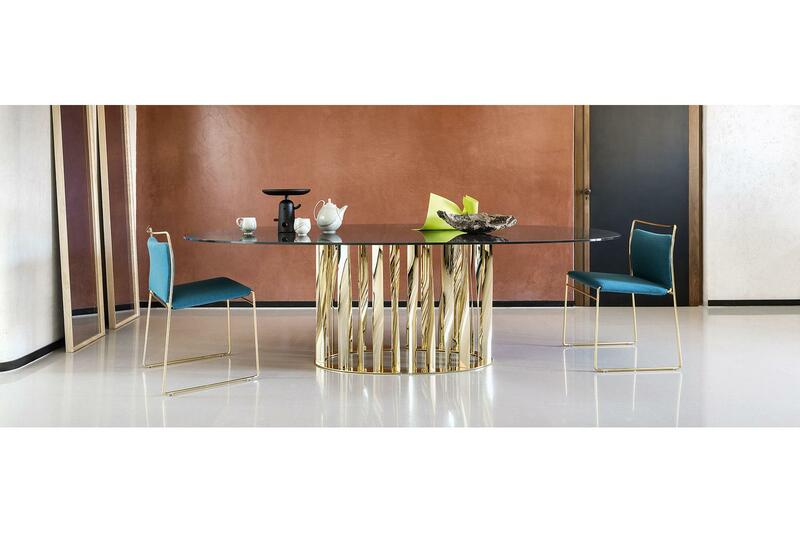 A new size for the square table (140x140 cm - 55.1"x55.1") with four shaped sides, two new sizes for the round table (Diam.130 cm - 51.2" and Diam. 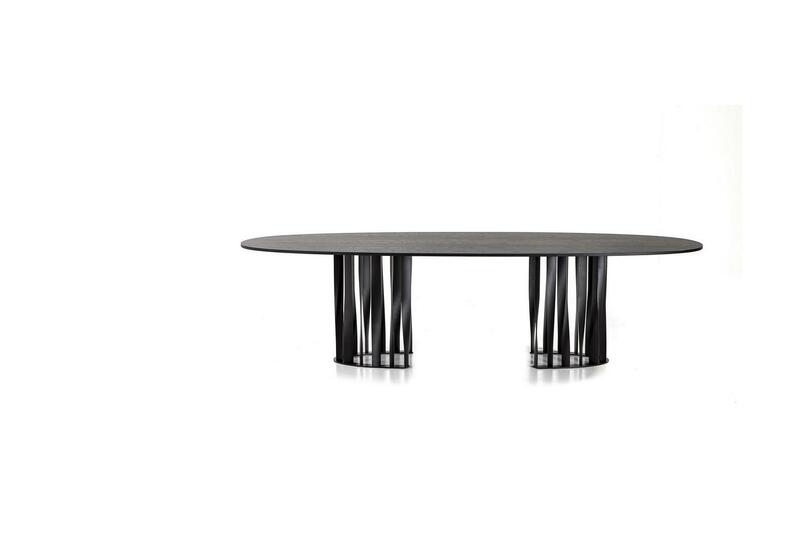 150 cm - 59") and two new oval tables (240 and 280 x 120 cm - 94.5" and 110.2" x 47.2"). 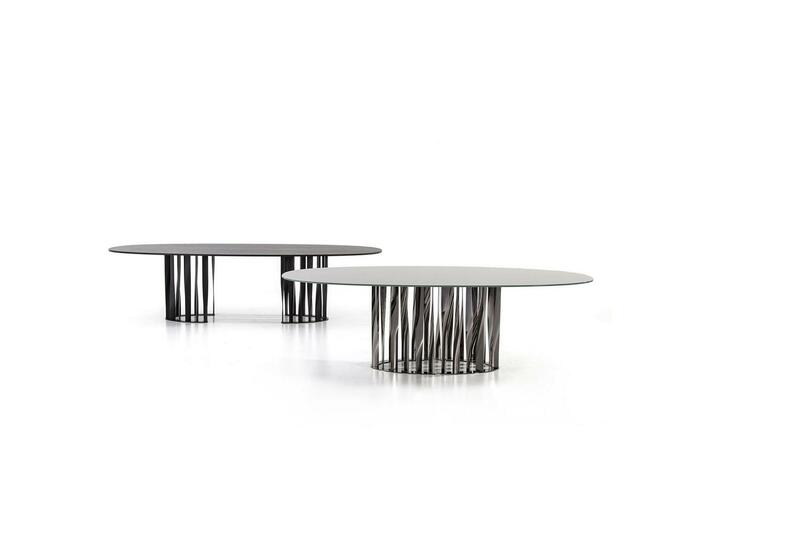 The bases of the tables come in four finishes, three of them new, in addition to the already present chrome: gunmetal grey chromium-plated, gold chromium-plated, matt black painted aluminium. The tops come in two different kinds of wood: black-stained ashwood and American walnut and in three new shades of extra clear back painted glass: oil green, dove grey and anthracite grey.